Vegas has the win total for the Hornets at 35.5. I’d say it’s a fair number, considering the team has finished 36-46 the past two seasons. Matt Moore at the ActionNetwork wrote that the Hornets have gone “1-14 in games decided by three points or fewer” since the start of the 2016 season. Offense wasn’t the issue, as the Hornets were 10th in points per game and 8th in pace. The defense, though. 19th. Aye caramba! Now there’s no more Dwight Howard to man the paint, but all is not lost. James Borrego is the new captain of the ship and everything we’ve heard and seen so far indicates that he is going to push the pace and incorporate a free-flowing offense. 12-seconds-or-less is the new mantra. Whether it translates into wins remains to be seen, but from a fantasy perspective, it’s gold. PG – Kemba Walker is the alpha on this squad. With the increase in pace, Kemba should be a beast for fantasy. The only thing you won’t get are blocks. Now, he’s an unrestricted free agent after this season so….If the team doesn’t win, does Charlotte ship him to another team? Tony Parker is the backup. Yeah, let’s just bump up Kemba. Devonte’ Graham is a young pup, so he probably won’t be in the rotation. SG – Jeremy Lamb is slated to start with Malik Monk coming off the bench. Last year was the first in which Lamb received more than 20 minutes per game. Per-36, he contributed 18.9 points, 5.9 rebounds, 3.4 assists, 1.1 steals, 0.6 blocks, and 1.7 downtowners. He has looked good so far in the preseason and could be a nice value considering his current market price (FantasyPros has him at #148 overall). Monk aka Craig’s lover has tremendous physical potential. Will he get the minutes to be a factor? If he gets the time, can he improve upon the poor shooting efficiency he displayed his rookie season? Craig says yes, obviously. I have my doubts. SF – Nicholas Batum, Miles Bridges, and Dwayne Bacon populate the small forward depth chart. Batum is the expected starter and FantasyPros has him at #77 overall. He’s enticing because he can mess around on any night and contribute across the board. The negative with Batum is that he’s played 80 games only once in his 10-year career. Bridges is the rookie and….Wow. The athleticism is off the charts and he’s shown the ability to knock down shots from downtown. The team loves his ability to defend multiple positions so he could find himself well-entrenched in the rotation. Bacon is a second-year player who probably won’t see significant time. 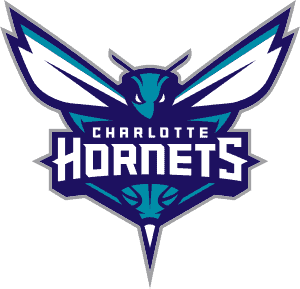 PF – Marvin Williams, Michael Kidd-Gilchrist, and Frank Kaminsky will play the 4 for the Hornets. I’ll start with MKG because….well, I can. Son got jokes. Anyways, MKG used to be the starting small forward, but with Batum sliding down from the 2 and Bridges expected to be a significant contributer, MKG looks to be the third wheel at both forward positions. With a Player Option for $13 million next year, I’m sure the team would love to trade him, but how many teams are in the market for a wing that can’t shoot? Williams and Kaminsky are basically the same player. Both are stretch 4s that are a fantasy bore. Williams will provide a more boards and a tick more D stats, while Kaminsky should dish out more dimes. If one were to get the bulk of the minutes, he would still be meh. Now what do you think about them splitting the minutes? C – Cody Zeller, Willy Hernangomez, and Bismack Biyombo will vacate the minutes left by Dwight Howard. I have Zeller starting initially, as the team loves his passing ability and defense. He also can knock down the mid-range J. But I’m all about Freeing Willy. Per-36, Hernangomez is a monster with career marks of 16.5 points, 13.6 rebounds, 1.2 steals, and 1 block. Unfortunately, he emulates his matador Spanish bretheren when it comes to defense. In the offensive-oriented system of Borrego, Hernangomez could thrive but it depends if Borrego wants to go all-in on O or ask, what is defense again? Biyombo is a board and block guy. Will probably only receive token minutes if injury strikes or the other big guys need a breather. finishes season as a top 100 player… BOOM! @Craig Bozic: Craig Lover of Monk-fish!!!! Within the range of outcomes, but I think you’d need an injury or trade for that to happen. I was offered Markkanen for a guy I may not keep. It’s an auction league, Lauri’d be $10 . 12 team, 15 players, $200 budget. Take it? Either way, would it be much better to get John Collins for $6 for next year? Thanks! @Son: Thanks, even with Lauri’s injury? I didn’t realize he was hurt until after I posted. @Mark: it’s a keeper league right? @Son: Right, he’d be $10 this year, $15 next year, and that would be it. @Son: Same league, would you keep Gasol for $34 for one year? Seems high to me, alternative is to try to get him for less or use the salary on others. @Son: As an alternative to Gasol (Marc, that is), would you rather keep either Adams for $11 or Vucevic for $26 next year? @Son: Alrighty, thanks for the timely responses. What’s good? Haven’t heard from you for a while. I just need your inputs regarding my draft for 16 man 9 cat h2h league. This year’s draft is much harder than last year lol. Anyway, below is my team. Yea, been busy with work and business lol. Glad that you loved what I drafted this year. Too bad I had a 0% chance of grabbing Jokic as I got pick 13. Not bad for Dipo tho. I checked the Draft Companion but some numbers are bit low for me? Not sure if it applies as well for 16 man. @Renz: How many starters? The numbers will be elevated because they are the averages for what it took to win each week. Which is a better hold going in to the season ?